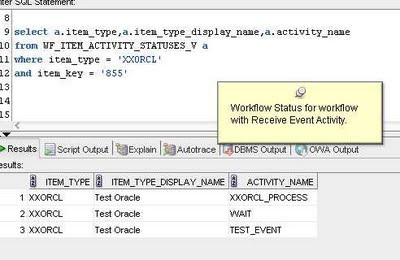 Applications and Integration Blog: Raise and Receive Events in Oracle Applications and Workflow. 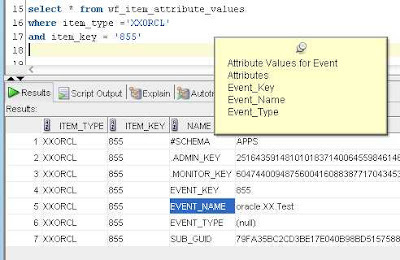 Raise and Receive Events in Oracle Applications and Workflow. Oracle Apps and workflow Events. 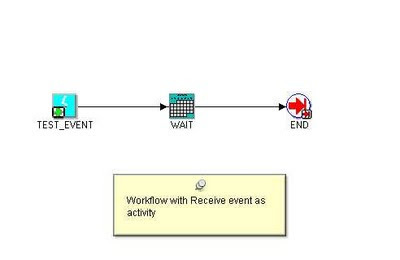 In this blog I will explain with Simple example how to use EVENTS in Oracle Workflow and then how to Raise Event in Oracle Application and Receive event in Oracle Workflow. In my next blog I will explain in details about how to RAISE and RECEIVE events in Oracle Workflow, but here I will limit my self to RAISE event from Oracle Apps and then RECEIVE in Oracle workflow. Step#1 - Define Event in Oracle Apps. 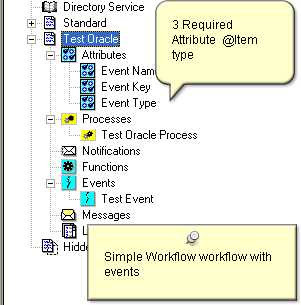 Navigation > Oracle Admin Workflow > Business Events > Press Button Create Event /Create Group Event. Note - In this blog I will limit myself to "Create Event" Only and will not discuss "Create Event Group". Please Note that when an event is raised , information about event stoted in Data type WF_EVENT_T. Event Header Properties like Event Name, Event Key , CoRelation ID,, Parameter list etc. OnceEvent is created , you can raise that ,by means of Test button. Step 2 - Create the subscription for the Event , an event subscription registration indicating that a particular event is significant to a system.When ever an event is raised , event manager searches and execute amy subscripion assocaited with Event. System - System where you want to execute subscription . Rule Date - Key /Message . Action type - we have 4 options here , in my Example , I have defined Action Type = "Launch Workflow" as I want to Launch the workflow. Create your Subscription .Since I have selected Action Type = "Launch Workflow", I need to create workflow with RECEIVE EVENT activity . Below are Steps to create Workflow with RECEIVE Event activity. 1.Step #1 - Drag the Event Activity on your workflow and Select Event Action = Receive.Since it is a simple test i just added a wait and end activity. in Workflow as shown below. Go to Workflow Adminstator and test the Event , by first query for your Event in Event Tab and then Press the Test Button . Event In turn trigger all the subscription assocaited with the Event. In our example , since Action Type for My Subscription is "Launch Workflow", it will trigger my workflow as shown . by executing below database queries. Hope that helps , Leave your comments , as that help me to improve furthers. good..but it would have been better if added a real example. Thanks for your comments.I don't have any live process at my end , But in case you have any Live test case that you want to implement with Events let me know , and will send you all info about how to implement events in your Live scenario. Thanks for sharing. I have tried the same way but Event is not invoking the WorkFlow. Even i am not getting error also. Is your workflow setup is working fine? Can you try the existing business event and see if that works.